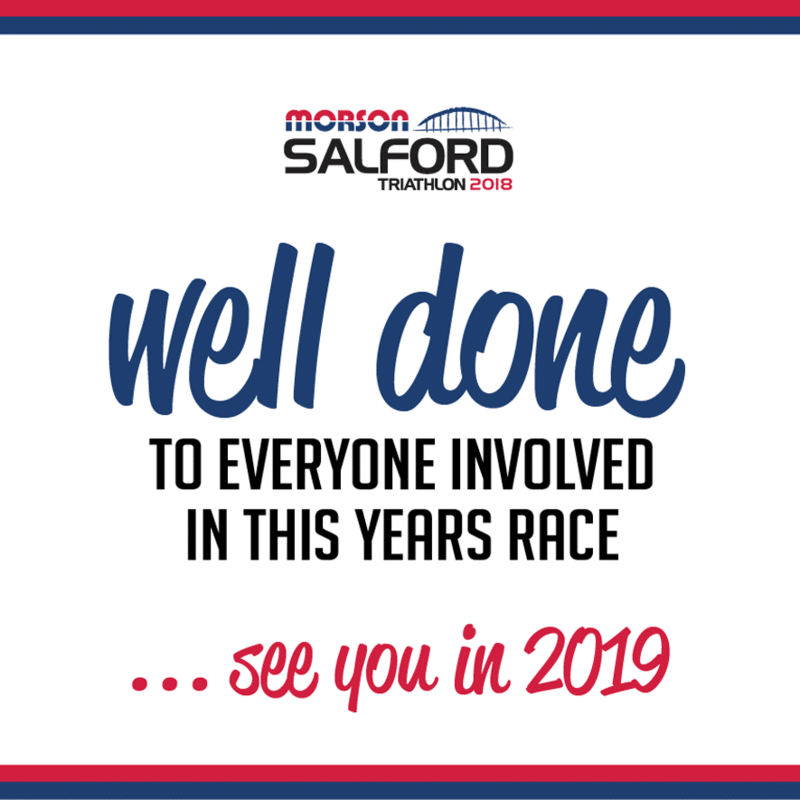 Congratulations to all competitors who braved the wind and rain in this years Morson Salford Triathlon. You were all stars! Our event offered triathletes of all abilities some great racing on fast flat courses around the breathtaking MediaCityUK complex at Salford Quays. Whether you were an experienced triathlete or a first timer making your debut in this fantastic sport, this was the race for you. With distances ranging from sprint to standard including the standard team relay option, there was something for everybody. Be great to see you ‘strut your stuff’ at the 2019 Morson Triathlon with dates to be announced soon!